Fine collection of songs that had deserved better sales. New Day sees the first appearance of bass player Danny Thompson; Give Us A Ring was written for house friend Nick Drake and in the title track we can hear the very first echoplex sounds mixing in. Recorded at Sound Techniques in Chelsea. Sleeve photographs and design by Nigel Waymouth. First CD pressing Island Masters series 22 March 1993 (silver). Remastered and expanded pressing Island Remasters series 3 October 2005 (Island first pink label design). 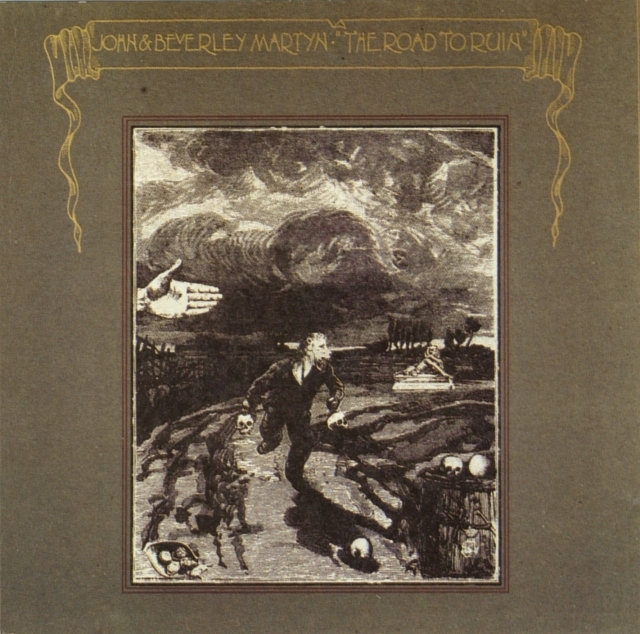 John Martyn - vocas,all guitars and harp; Beverley Martyn - vocals; Paul Harris - piano; Wells Kelly - drums on all tracks except Auntie Aviator, bass on Auntie Aviator; Mike Kowalsky - drums on Auntie Aviator; Rocky Dzidzornu - congas; Dave Pegg - bass on Say What You Can and Give Us A Ring; Alan Spanner - bass on Primrose Hill, Road To Ruin and Sorry To Be So Long; Danny Thompson - double bass on New Day; Dudu Pukwana - saxophone on The Road To Ruin, Sorry To Be So Long and Say What You Can; Lyn Dobson - flute on New Day and saxophone on Say What You Can; Ray Warleigh - saxophone on Primrose Hill. Arrangement for Say What You Can by Tony Cox. All other arrangements by John Martyn and Paul Harris. Sleeve photographs and design by Nigel Waymouth. Front cover engraving by Max Ernst from 'Une Semaine De Bonté'. Engineering by John Wood. Produced by Joe Boyd, Witchseason Productions Ltd.
For some reason the track Let It Happen, as mentioned on the cover, was replaced by Say What You Can.